I’ve been to Taiwan three times now, but it wasn’t until this last trip that I really saw how many class bike shops Taipei had. 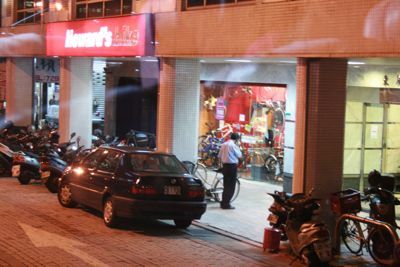 We went to Rui Guang Road, where there were 3 bikes shops next door to each other in a fairly new commercial district. 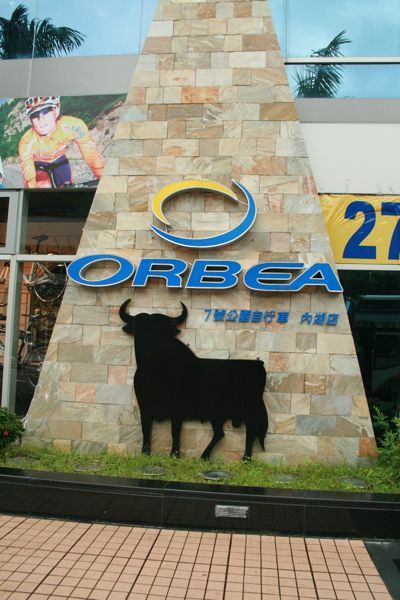 One was the Merida flagship store, the middle was the Orbea shop where I was compelled to buy a Catlike helmet, and the third was another of the ubiquitous Giant Bicycles stores. Each of the shops carried a full range of bikes from budget to premium. Last year when I went to the smaller, older neighborhoods with my then girlfriend, I visited a bunch of hole-in-the-wall shops, some cool and some mundane. 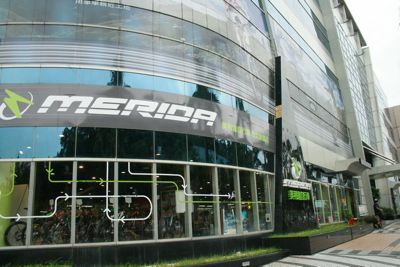 Together with these larger shops employing a bit more retail design, I’m really impressed with how much cycling culture seems to be growing in Taiwan. However, I would say that the new growth in cycling does not seem to include bicycle commuters. I have spoken to people who ride to work in Taipei, but my impression from watching the majority of cyclists on the streets and looking at bike shop inventory was that people in Taiwan are interested in exercise, sport, or just being outside. But bicycle transportation seems to be for people who don’t own cars or use public transportation. To be fair, Taipei public transportation is better than most American cities, and the expanding subway system will improve things even more. And I cannot imagine a businessman riding to work in summer without arriving drenched in either sweat or monsoon rain. After all, Taiwan sits right on top of the Tropic of Cancer. Even without the cycling traditions of Europe or even Japan, cycling in Taiwan is growing by leaps and bounds. I can’t wait to get a chance to go back.